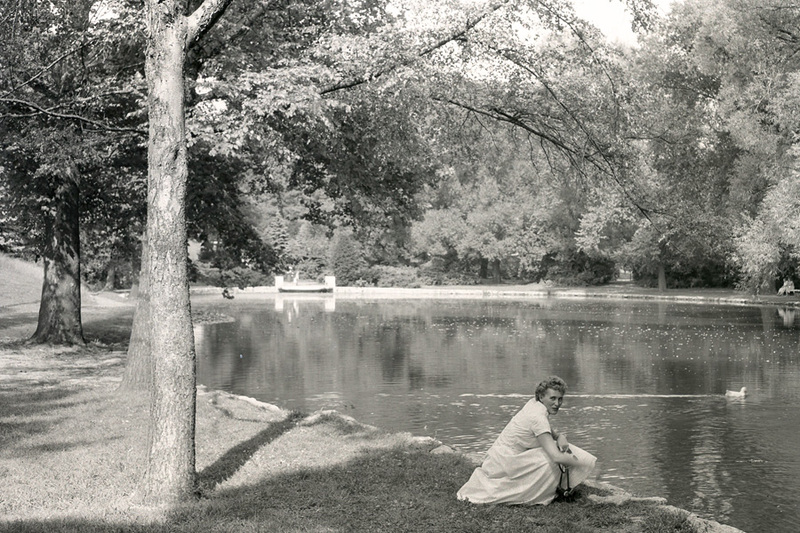 Mirror Lake, c. 1955. From a set of negatives I purchased at a local antique store last spring (2016). As yet unknown photographer seemed to have lived on Iuka. Woman is named "Dorchen." Perhaps his wife? Still digging up the details. 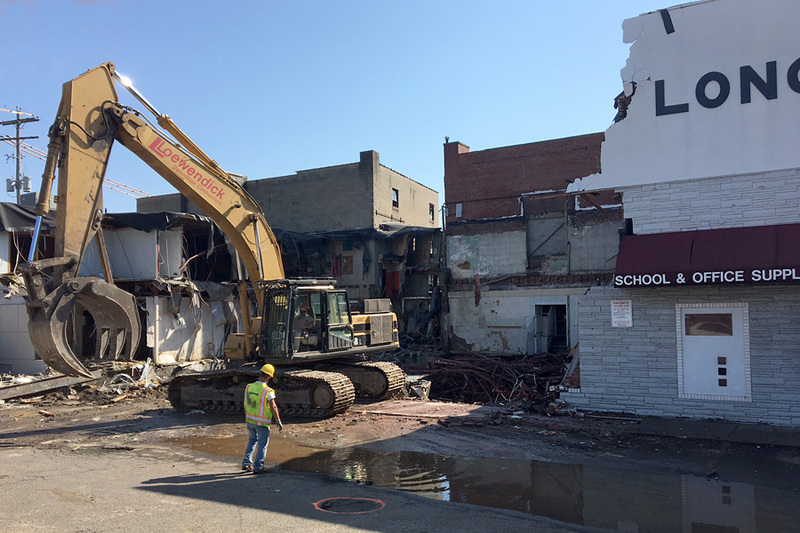 October 6, 2016- A campus fixture since 1909, Long’s Bookstore started coming down today, part of the university’s plan to scrub High St. clean of history and character. The first thing I ever bought at Long’s was a medieval history textbook back in 1984. The last thing I ever bought at Long’s was the Alyson Hannigan issue of FHM in the summer of 2003. In between, I bought tons of art supplies from the cool art students in the very well-stocked basement art and design section. 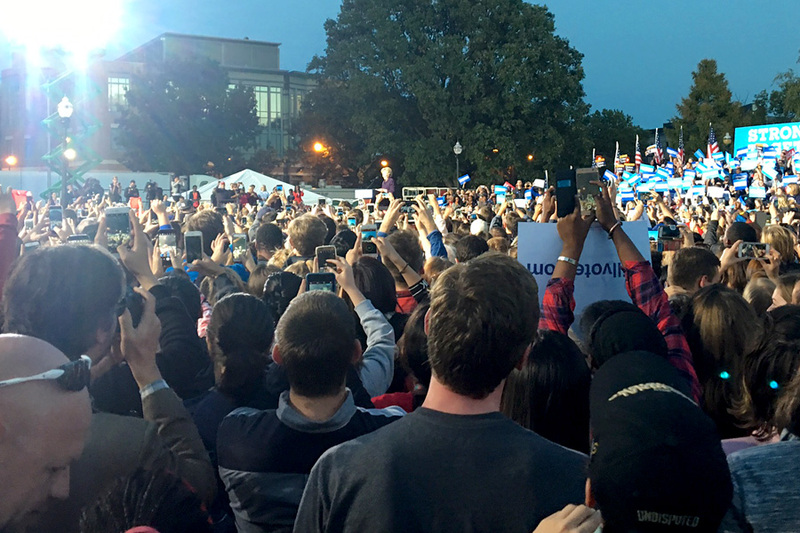 October 10, 2016- Democratic presidential candidate Hillary Clinton speaks to gathering of 18,000 supporters and 13,000 on-lookers on the South Oval. 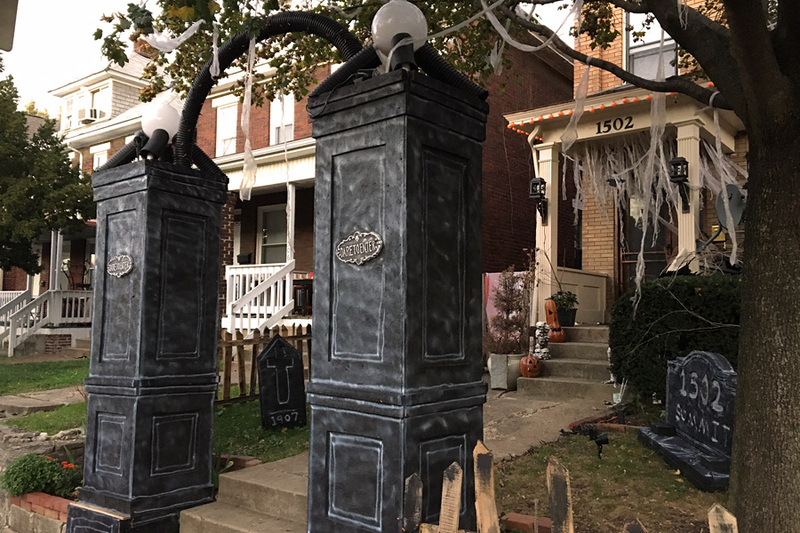 October 24, 2016- These home haunters at 1502 Summit win Halloween 2016. Very impressive! 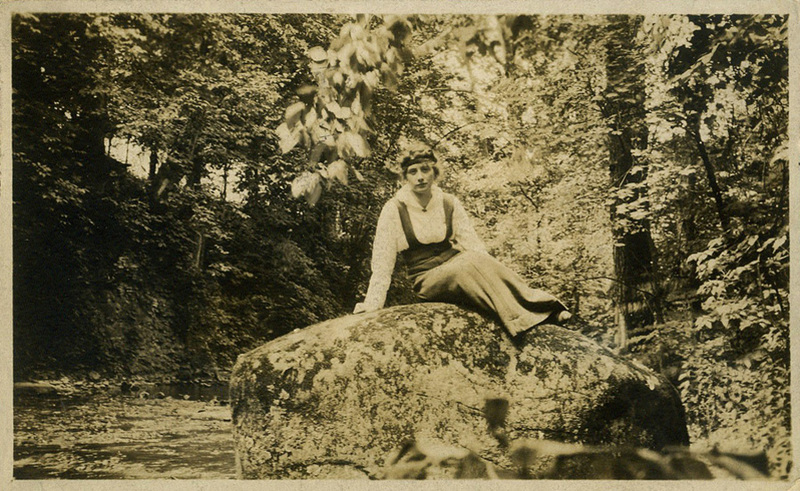 Unknown young woman visiting from Canton poses in a North Columbus ravine in late August 1915. I'm inclined to think it's Glen Echo Ravine because it looks like it and because the other ravines would have been too far out in the country in 1915 for a visitor to the city. 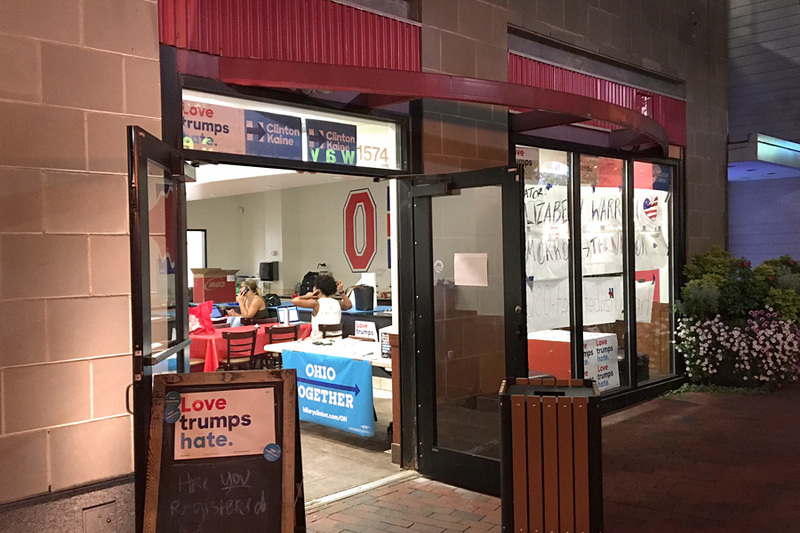 November 7, 2016- Hillary Clinton campaign headquarters in the South Campus Gateway. 57% of University District residents turned out to cast 75% of their ballots for Democrat Hillary Clinton. Trump wasn't our fault. 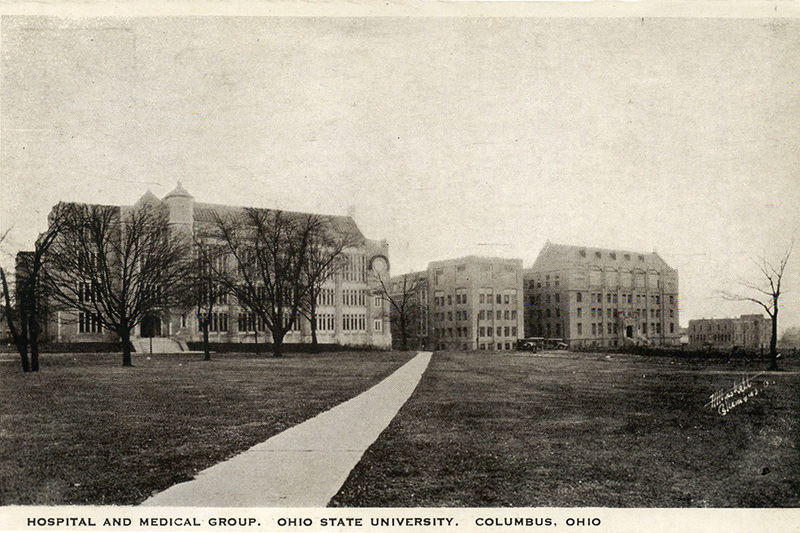 Ohio State University Medical Campus, c. 1930. Hamilton Hall to the left; Starling-Loving Hall, the hospital, to the center-right; long-gone Kinsman hall to the right. Kinsman used to house medical research. At the far left you can see one of the houses that lined 10th Ave. south of the medical buildings. November 21, 2016- It's Michigan Week! 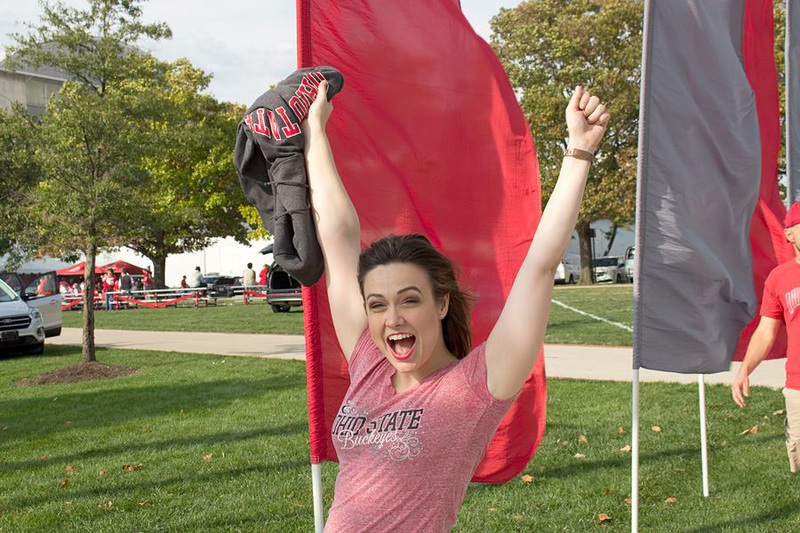 The high holy days in Buckeye Nation when our neighborhood becomes the center of the college football universe! On November 26, 2016, The Buckeyes (10-1, #2 ranked) met the best Michigan team (10-1, #3 ranked) in years in Ohio Stadium before an all-time record crowd of 110,045. In a hard fight that went to double-overtime, Ohio State beat Michigan, 30-27, to win a chance at another national championhip. 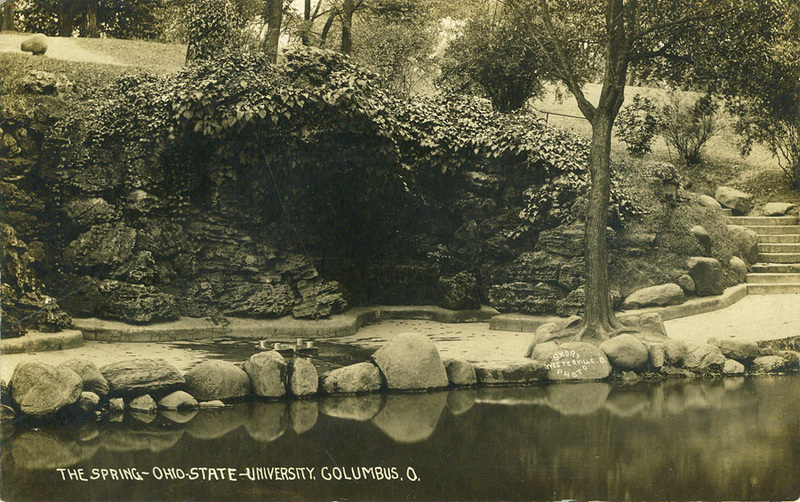 C. 1910 view of The Spring and its grotto at Mirror Lake on the Ohio State University campus. A Mirror Lake feature since the 1896, the Grotto seems to be going away in the Mirror Lake redevelopment project currently underway. Around 9:30 AM on Monday, November 28, 2016, a hate-filled young man, drunk on the ravings of a fundamentalist cleric, deliberately crashed his car into a crowd of fellow students, leaped out with a knife in hand and tried to murder as many people as possible. A heroic OSUPD officer, Alan Horujko, ended the rampage quickly. The attacker was killed. 11 innocent people were injured. 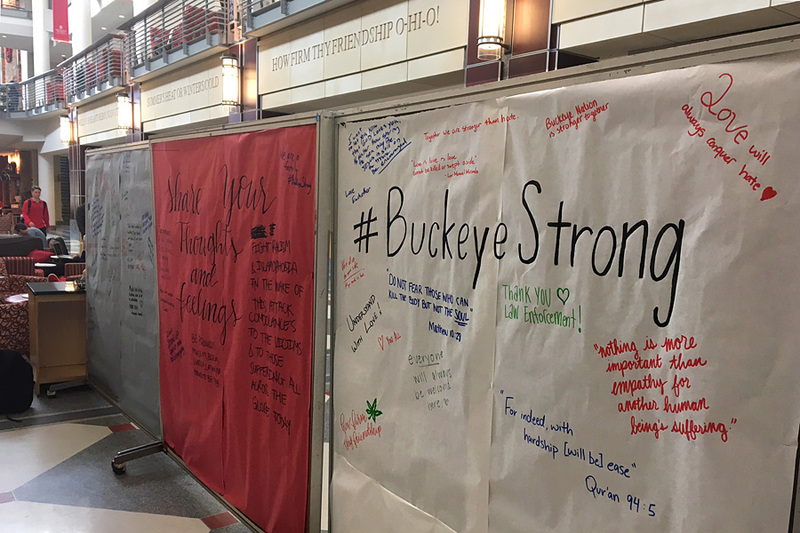 In the days that followed, students, staff, and faculty shared their messages of healing, reconciliation, and support on posters in the Ohio Union.